We think you do. In this article, we explain the benefits of using a TPP. Please note - in this article we focus specifically on TPP for medical device companies, but the tool could be applied in any manufacturing environment. A TPP is a strategic tool which can be used after a feasibility assessment and during the Product Development phase. By starting with a TPP, you can keep all of your employees focused on the end goal and avoid any misinterpretations. We recommend working collaboratively with others in your organisation to develop your TPP e.g. research and development, clinical, marketing, operations and leadership. Using Document Manager for your TPP means you can keep the latest version of the document, control versions, and ensure approval has been authorised before any changes are made. A strong regulatory strategy is key to maximising the commercial success of your product. While a TPP is not a regulatory requirement in the medical device industry, it is a useful document to demonstrate you are focused on developing products for a specific purpose. The document summarises the value proposition of the intended commercial product and assists in the development of a regulatory strategy. Imagine the ideal labelling claims of the final anticipated product. A TPP provides you with an opportunity to compare competitors / existing standards of care. Throughout this process, most medical device companies find they get ideas and inspiration by simply documenting the current unmet needs and value proposition. 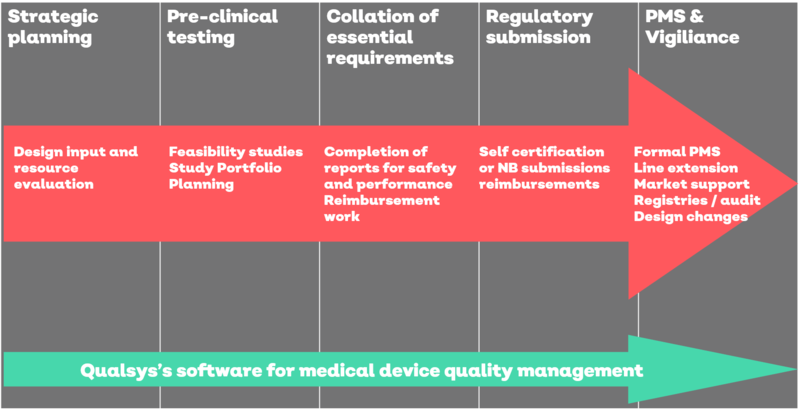 Need a tool to manage your medical device quality management system? Find out how medical device companies use Qualsys's software solution by downloading the datasheet.